The Reserve lies within ecological zone V- which is classified as arid and semi- arid with moisture index of 42 to 57, which indicate that evapo-transpiration is greater than available moisture. The days are extremely hot while the nights are cool. The annual mean temperatures range between 18ºC and 30ºC, while the mean annual rainfall is 354mm with peaks in November and April. 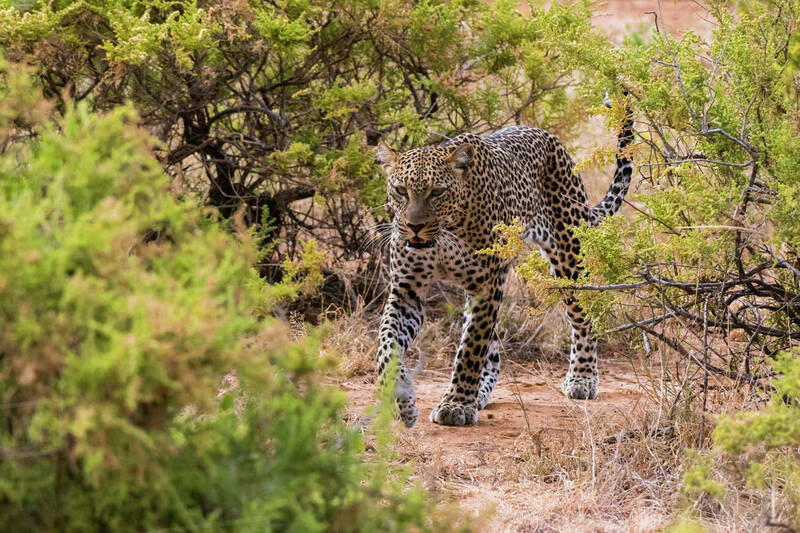 The dry season starts in late May, and goes up to early October during when large concentration of wildlife is found in the reserve due to availability of lush vegetation along the Ewaso Nyiro River, the main source of water to the Reserve and the nearby communities. 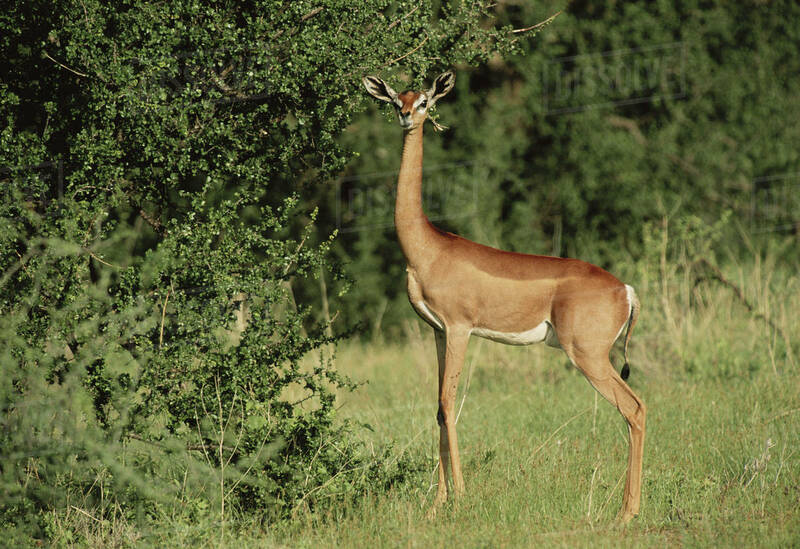 The reserve is reach in wildlife with fame for abundance in rare northern specialist species such as the Grevy Zebra, Somali Ostrich, Reticulated Giraffe, Gerenuk and the Beisa Oryx (Also referred as Samburu Special). The reserve is also popular with a minimum of 900 elephants. Large predators such as the Lion, Leopard and Cheetah are an important attraction (Kamunyak the Miracle Lioness that adapted the baby Oryx is a resident in the reserve). Wild dog sightings are also a common attraction to this unique protected area. Birdlife is abundant with over 450 species recorded. Birds of the arid northern bush country are augmented by a number of riverine forest species. Lesser Kestrel and the Taita Falcon are species of global conservation concern and they both utilize the reserve. Five species categorized as vulnerable have recorded in the reserve. These are African Darter, Great Egret, White-headed Vulture, Martial Eagle and the Yellow-billed Ox-pecker. Critically endangered species under CITIES – Pancake tortoise (malacochersus tornieri) is found in the reserve. 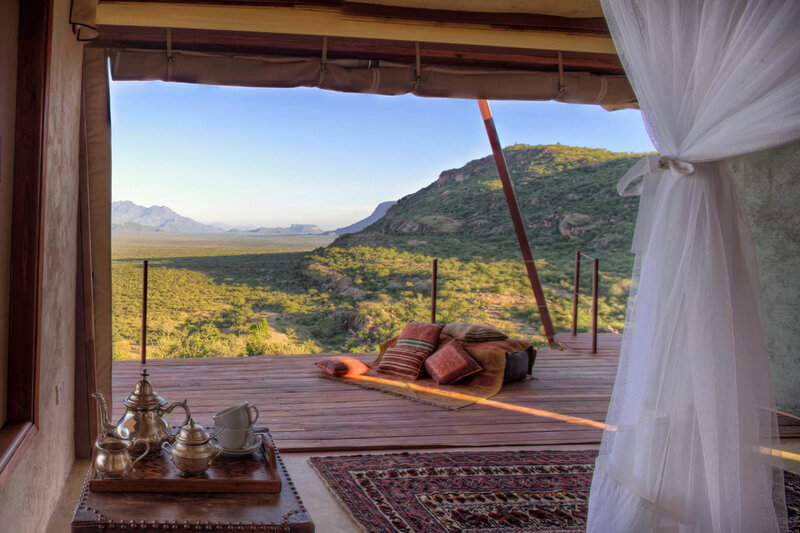 Saruni Samburu’s six luxury, eco-chic villas are open and spacious, heralding spectacular views over Kalama Conservancy and Mount Kenya. 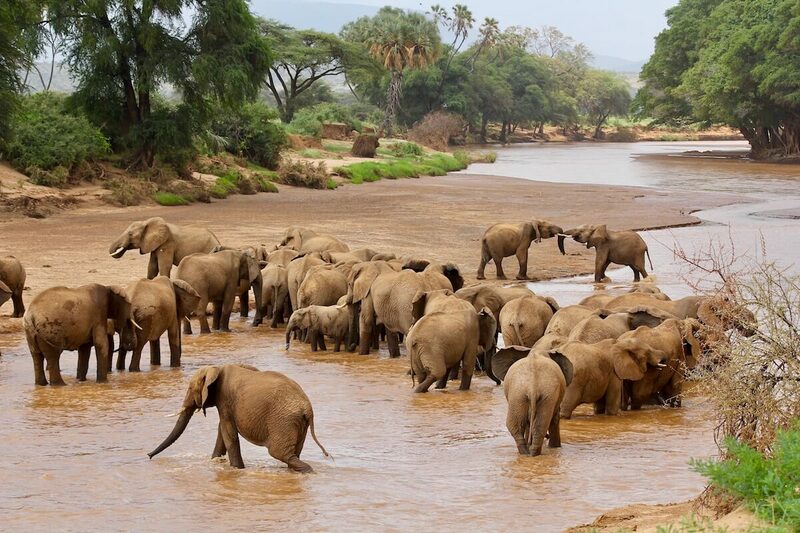 Samburu Intrepids is situated on the banks of the Uaso Nyiro River in the arid heart of Samburu National Reserve. Samburu Intrepids looks out over riverbanks where herds of elephant, buffalo and zebra come daily to drink together with the rarer ‘northern species’ of reticulated giraffe, Beisa oryx and long-necked gerenuk antelope. At the heart of the Elephant Watch Portfolio (EWP) are two private luxury lodges, Olerai House and Elephant Watch Camp, an exquisite family home, Sirocco, a self-catering Cabin, and a tailor-made Boutique Safaris business. The portfolio, founded by Oria Douglas-Hamilton, a native Kenyan of Italian and French extraction, has grown out of her passionate love of Africa, its people and wildlife. Each lodge has its own particular character and style. Come and enjoy our hospitality, with its delicious food, its tranquillity, its Afro-Italian chic – and the great outdoor adventure that beckons from beyond. Elephant Bedroom is located deep in the heart of the Samburu National Reserve on a lovely stretch of the Ewaso Nyiro River – where game viewing is at its best. It opened in 2008 and offers relatively luxurious tented accommodation in a shady grove of acacias and doum palms. 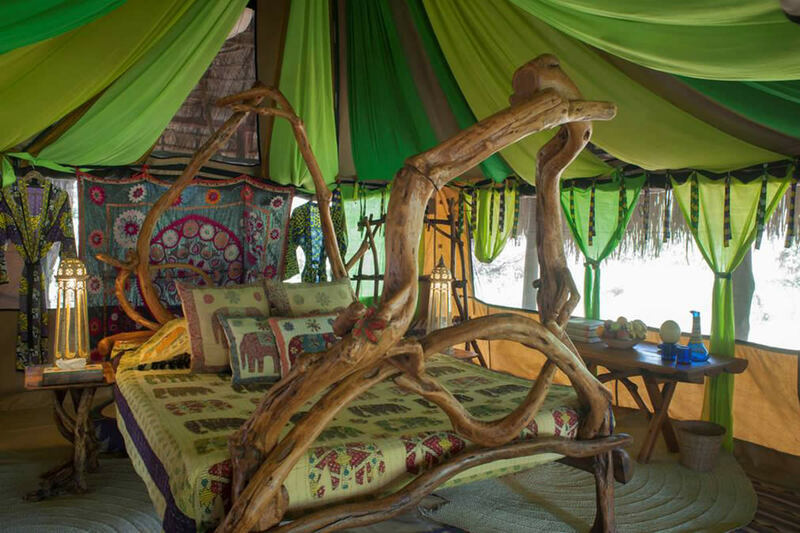 The tented rooms at Elephant Bedroom are spacious, comfortable and luxurious, but also unfussy. Nine of these tents are raised on individual wooden platforms (these are east, downstream of the main area), with the other three at ground level (these are upstream, to the west of the main area). Older guests, or those with mobility challengers, are usually accommodated in the ground-level tents, which are also close to the central areas of the camp.